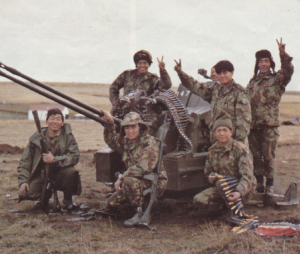 Between 1967 and 1972, as a result of changing defence commitments and the reorganisation of the Armed Forces, the strength of the Brigade of Gurkhas was reduced from 14,000 to about 8,000. This was achieved by a reduction of the number of Gurkha infantry battalions from eight to five, reductions in the strength of the three corps units (Engineers, Signals and Transport) and the disbandment of the Gurkha Parachute Company and the Gurkha Military Police. When British Forces withdrew from Singapore in 1971 three battalions of Gurkha infantry and the Gurkha Engineers, Gurkha Signals and Gurkha Transport Regiment were stationed in Hong Kong and the remaining two battalions stationed one in the United Kingdom (at Church Crookham) and the other in Brunei. In 1974 the battalion based in England (10th PMO Gurkha Rifles) deployed to Cyprus to reinforce the British Sovereign Base Area when Turkey invaded the island. 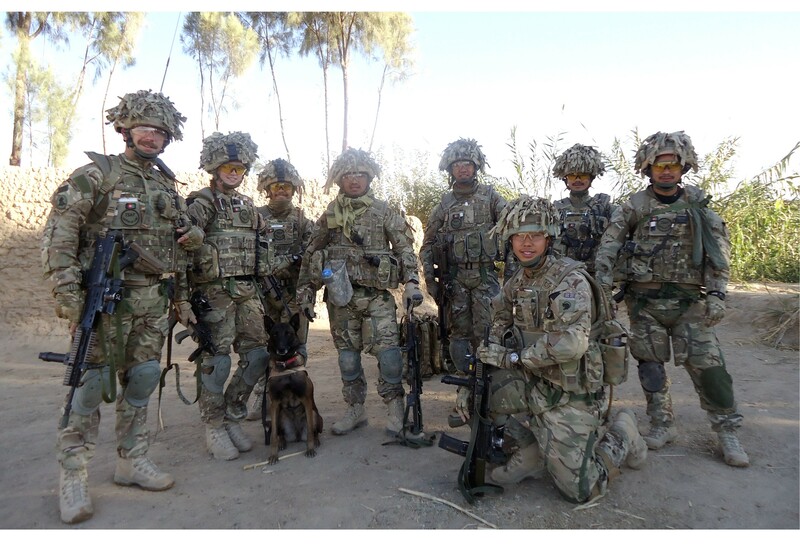 Since 1978 the United Kingdom based Gurkha battalion has taken its turn in helping to garrison Belize and in 1982 the 1st Battalion 7th DEO Gurkha Rifles took part in the Falkland Islands Campaign. In the Gulf War to liberate Kuwait in 1990/199l, the then Gurkha Transport Regiment provided 28 (Ambulance) Squadron and the Band of The Brigade of Gurkhas deployed as stretcher bearers. In 1977, during the Silver Jubilee Year, the Queen honoured three units of the Brigade of Gurkhas. The Gurkha Engineers and Gurkha Signals received Royal titles and His Royal Highness The Prince of Wales was appointed Colonel-in-Chief of the 2nd KEO Gurkha Rifles. In 1992 the Gurkha Transport Regiment was redesignated The Queen’s Own Gurkha Transport Regiment. Following the Government’s decision to reduce and restructure the Army the Brigade reduced in size from 8,000 to 3,500 by 1998. In 1994 the four Rifle Regiments disbanded and were reformed into a large Regiment, The Royal Gurkha Rifles (RGR) which initially consisted of three battalions. His Royal Highness The Prince of Wales is the Regiment’s Colonel-in-Chief. 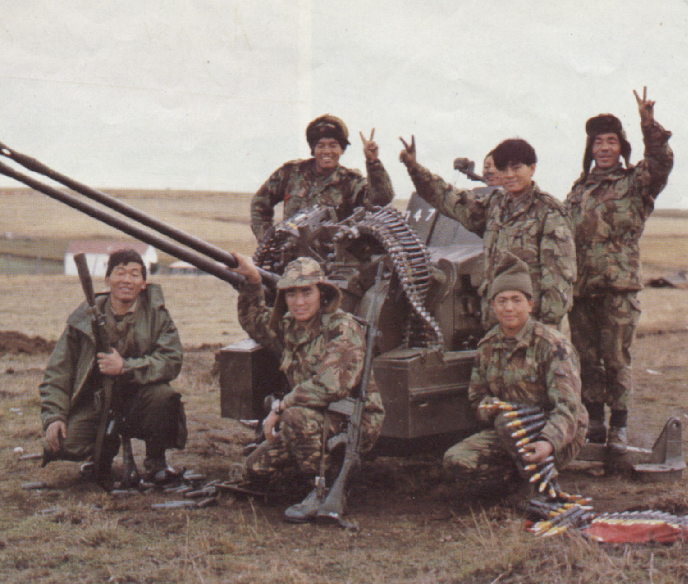 RGR reduced to two battalions in November 1996 when 3 RGR disbanded on the withdrawal of 1 RGR from Hong Kong to UK. At that time three Gurkha Rifle Companies were formed to reinforce the Infantry until 2005 The Brigade is also providing reinforcements for various specialist posts throughout the Army. The Corps Regiments have reduced in size to a Regimental Headquarters and two squadrons each, these squadrons are deployed within the parent corps regiments.